Want more money to spend on your trip? Contiki have limited spaces left on some of their tours which are departing soon. Grab a last minute deal on these heavily discounted tours that are Up To 25% off. Just choose a trip, copy the promo code for the date you want to depart, and press the Book Online button. Easy savings as easy as that! Contiki are the biggest youth travel tour operator in the world, carrying in excess of 150,000 passengers around the world each year. 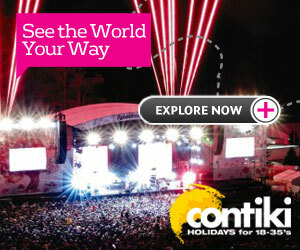 Contiki operates tours in Europe, Russia, Egypt, Australia, New Zealand, North America, South America and Asia. Contiki has been around for over 50 years. The Contiki story happened when a Kiwi guy decided to take a trip around Europe. He purchased a van and found himself a group of people to travel across the continent with. When the trip finished he tried to sell the van, but there was no takers, so the next year he ran his trip to Europe again. This time he promoted the tour a bit more and he was even able to run two trips. These trips were all with passengers under 30 and this commenced the tradition of Contiki being for the youth traveller. 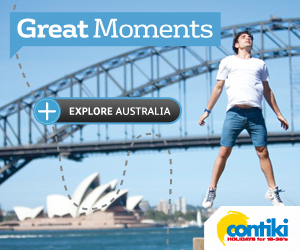 Contiki was the first major tour operator for the 18-35 year old youth traveller. Today it remains the worldwide leader in youth travel tours. 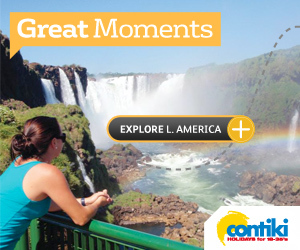 Contiki now has tours to over 40 countries across 6 continents. Contiki are the 18-35 tours people, with vacations for young travellers who want to venture to some amazing places across the globe. The Contiki brand is one of the most trusted by travellers from all over the world. The name Contiki comes from 'Con' from the word 'Continent' and 'Tiki'; derived from the native New Zealand Maori good luck charm. Contiki runs three main types of tours - Camping, Concept and Time Out. Each style has a mix of sightseeing and free time with the main difference between the styles being the accommodations used. With Concept Tours the accommodaton is normally in city hostels or Contiki's owned and operated Villages. 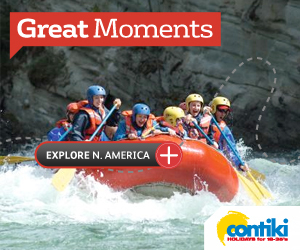 These Contiki Special Stopovers are exclusively for the Contiki traveller. Time Out Tours generally stay in Superior Class Tourist Hotels and also include in-depth Regional Tours, and Cruising Tours. 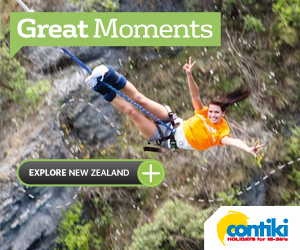 The Contiki motto is "NO REGRETS".